Some people think Robert De Niro and John Travolta in one movie would be a kick to watch. Not a chance. “Killing Season” defines the word “boring”. Travolta, with an Eastern European accent, a shaved head and bizarre, ugly facial hair plays a member of the Serbian Scorpions. In a lousy prologue, we learn that he was shot in the back during the Serbian war by Col. Benjamin Ford (De Niro) and was left for dead. Now years later, he wants revenge. Director Mark Steven Johnson (“Ghost Rider”, “Daredevil”) tries to duplicate the B-movie tension David Von Ancken instilled in 2006’s “Seraphim Falls” with Liam Neeson going medieval on Pierce Brosnan. “Seraphim Falls” had real movie vitality. 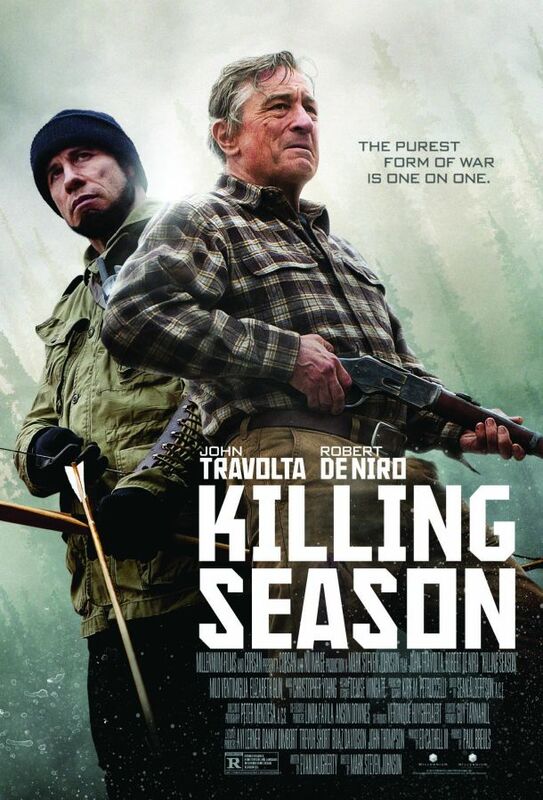 In comparison, “Killing Season” has no vital signs at all, just crushing dull repetition that makes one stupid scene play exactly like the last one. De Niro is one of the best actors of his generation.”Killing Season” isn’t among the best of anything, but it definitely corners the market on the worst of the year.